We have had a fun snow filled weekend around our house. My girls got out of school early on Friday. The school district decided to have an early release in preparation for an incoming storm. We don’t get a lot of snow where we live, so a feeling of excitement filled the air. 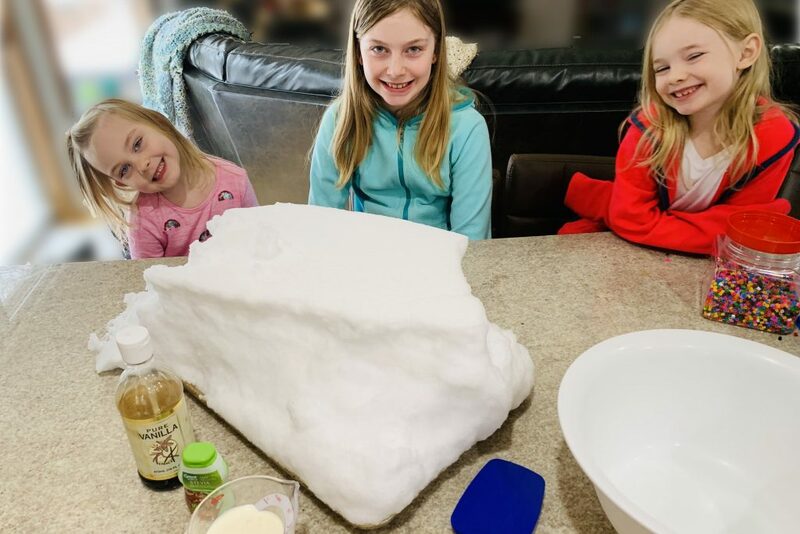 The girls came in the door from school telling me they really wanted to make snow cream. The bus driver told them all about it, and they just had to try it. 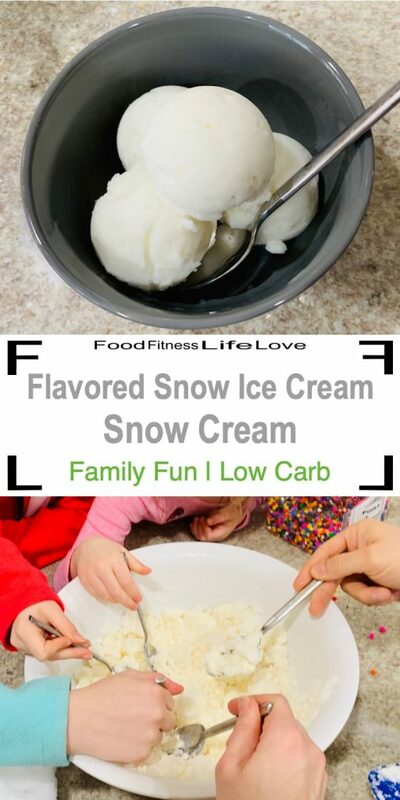 I’ve heard of snow cream but never made it. 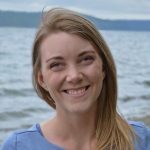 A little research online, and I found it was totally doable to make flavored snow ice cream with the ingredients we have at home. So, we set out clean sheet pans on the back porch to collect clean snow. We were all a little disappointed Friday night as the snow was not falling as the weather reports had predicted. However, we woke up Saturday morning to find a winter wonderland and plenty of snow in our sheet pans. After a busy morning of sledding outside, the girls came in to warm up. I made some homemade waffles for breakfast to warm them up. 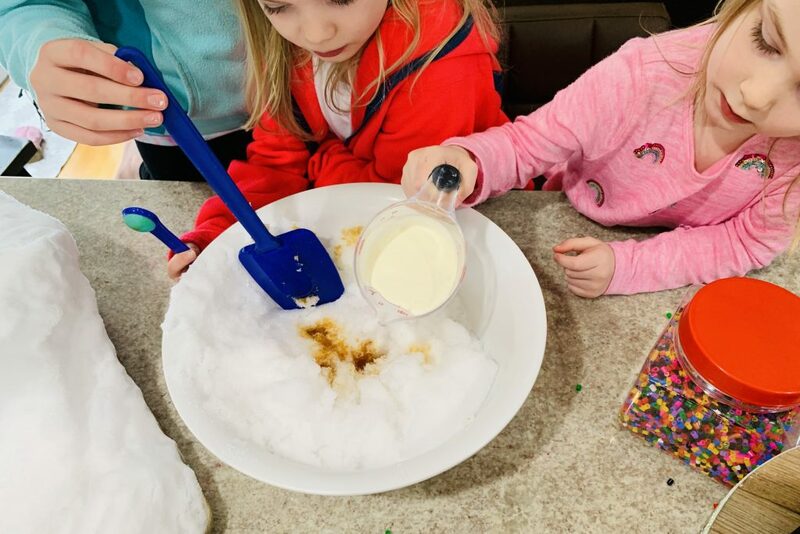 Then, with perler beads on the counter and the Frozen soundtrack playing in the background, it was time to experiment with Snow Cream. 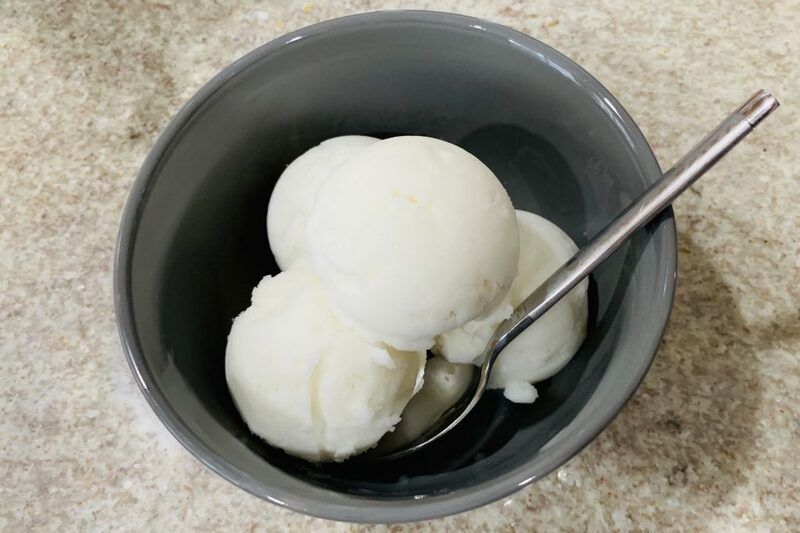 For our first batch of flavored snow ice cream, (we had plenty of snow to work with) we used vanilla extract, heavy cream and liquid stevia. 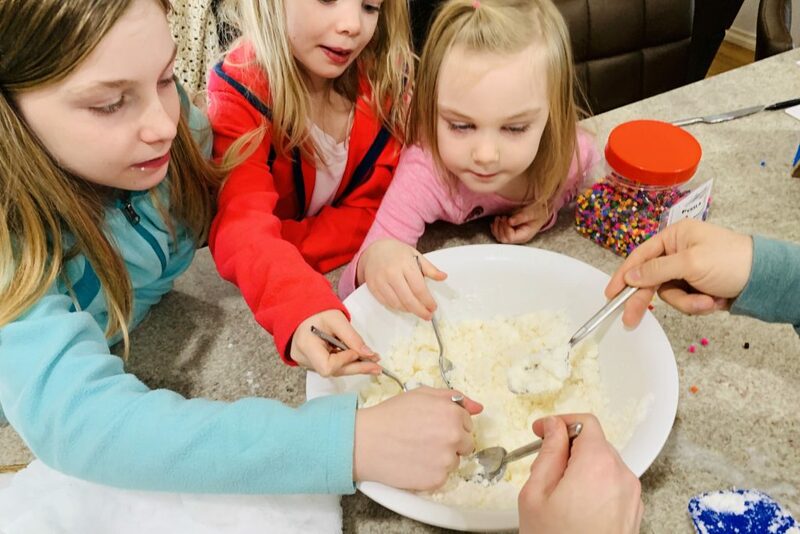 Each girl helped add one ingredient and everyone did some mixing. 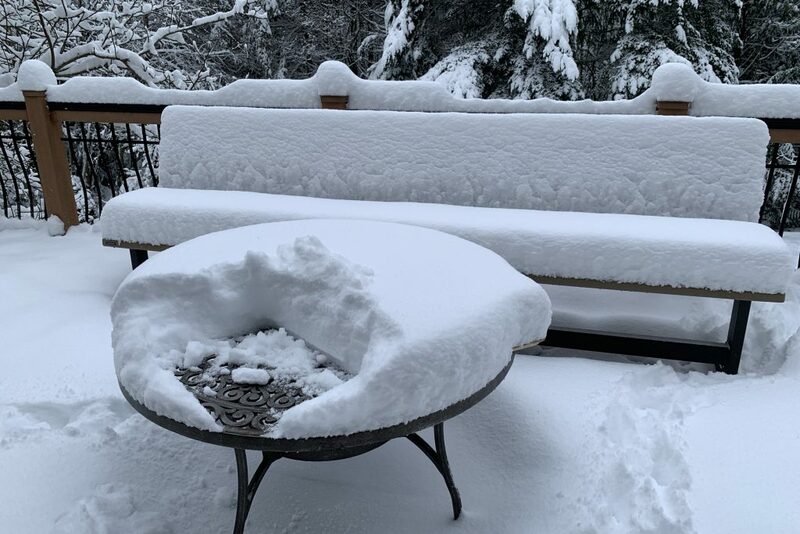 We filled our bowl up with snow, maybe 6-8 cups. We didn’t measure. Then, we added 2 teaspoons of vanilla and a few squirts of liquid stevia. The serving size for the stevia is 1/16th of a teaspoon, but that is really hard to judge. It all depends on how hard you squeeze the bottle. So, just taste the snow cream and adjust accordingly. The girls slowly added heavy cream and started mixing. Adding more cream and snow until we got a good consistency and flavor. We used about 1/2 cup of cream. It was a bit harder to mix than I expected. You can’t just stir it, at least with the snow we had. The texture of snow can be so different, I expect it might be easier with a different type of snow. 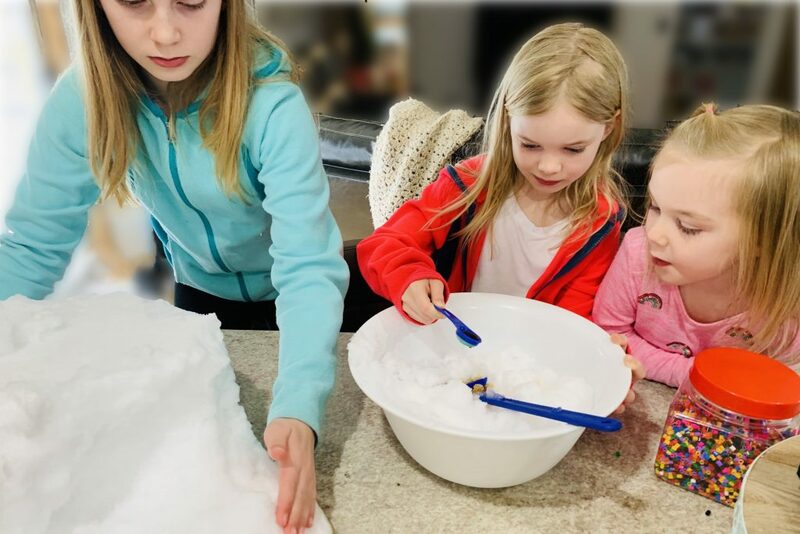 We found it best to “chop” the snow mixture with our spoon in the middle of the bowl and then pack it in from the outside and repeat. We were so excited to try out creation, everyone just ate right out of the mixing bowl. It’s delicious. I think this will be a regular part of our snow day activities. We had enough snow to experiment with more flavors. I have some super-strength Cotton Candy flavoring left over from a birthday cake I made. So, this was the obvious choice for the next batch of flavored snow ice cream. The super-strength flavors are 4 times as strong as regular extracts, so I only used 1/4 teaspoon. It was just right. 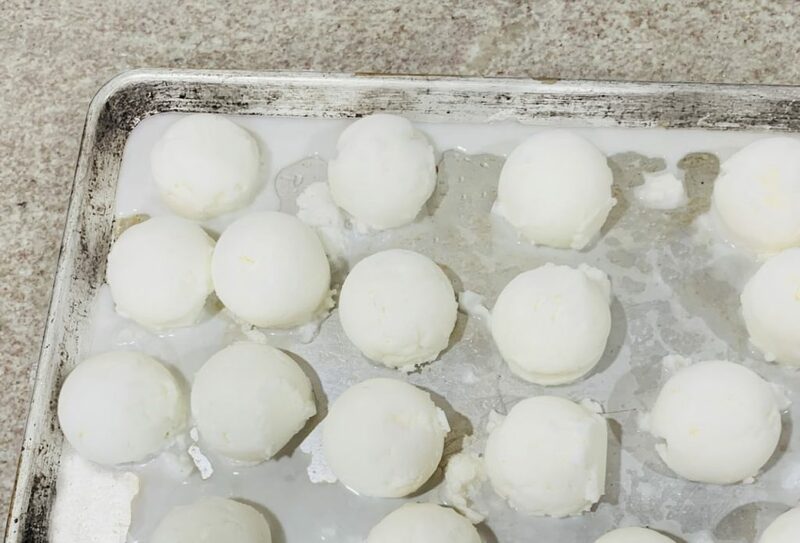 In the spirit of experimenting, I used my ice cream scoop to make these cute snow balls. The girls decided to name them Cotton Candy Snow Balls. We were pretty full from all our breakfast and snow cream dessert, so we also tried saving some snow balls for later. I just put a sheet pan full of snowballs in the freezer. They did start to melt as I was scooping, so you have to work fast. After dinner we tried our frozen snowballs. They were really just big ice cubes. So, I put one ball at a time in a re-sealable storage bag and used a meat tenderizer (the mallet kind) to break it. The texture was like shaved ice and the perfect after dinner treat.